Even Eagles fans were cheering for Odell and Eli.
.@jake_elliott22 's 42-yard FG is GOOD. The @Eagles extend their lead to 32-26. #SBLII Most Valuable Player Voting is now open. No team has ever gone an entire Super Bowl without punting. The Patriots still haven't punted with 14:09 left in the fourth quarter.
.@SweetFeet_White gives the @patriots 1st & goal inside the 5-yard line. Brady to Gronk for 4-yard TD pass and Patriots have taken first lead of the game, 33-32, with 9:22 to play. 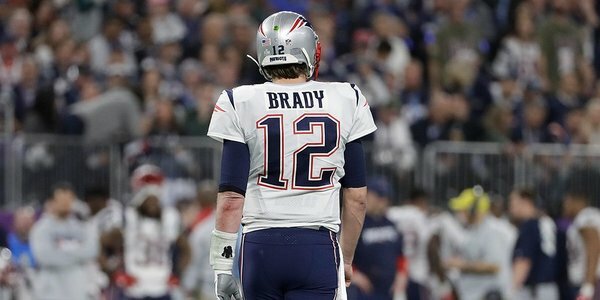 Pats with their first lead of the night as Brady connects to Gronk on a fade route, for a 33-32 lead. Offenses heeding Prince's advice here in Minneapolis. Let's go crazy. Let's get nuts. 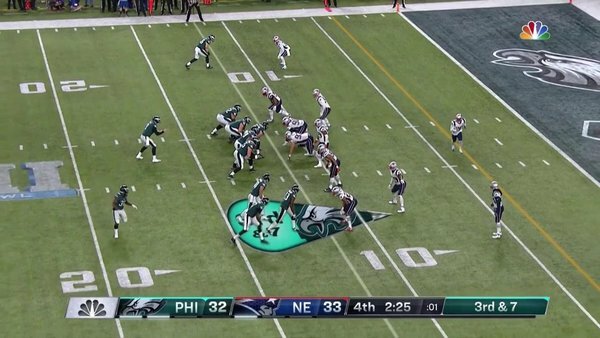 There has been one punt in this game - by the Eagles. There have been no sacks - by either team. Doug Pederson knows "Bold North" is about the weather, not the playcalling, right? Agholor for another first down. Nick Foles is making his money for 2018 tonight.
.@nelsonagholor picks up the first down. 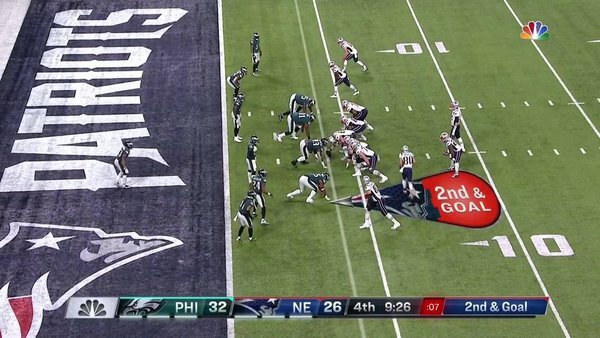 Eagles got the ball with 9:22 left and are now at the Patriots' 23 with 3:07 to go. 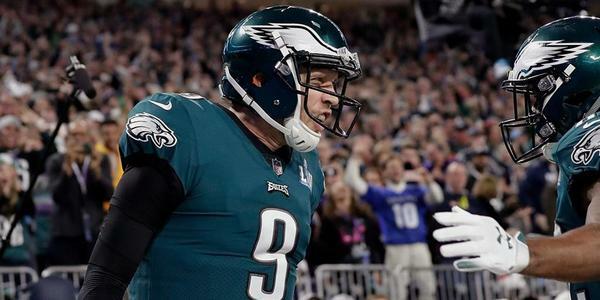 Does Doug Pederson try and run out the clock and go for the game-winning field goal? Would be incredible.
.@nelsonagholor picks up another 1st down for the @Eagles . 2:37 left in the @SuperBowl . I sense an Ahmad Bradsahaw "don't score!" touchdown coming up here shortly. Eagles ball on the NE 11. 2:30 left to play in #SBLII . 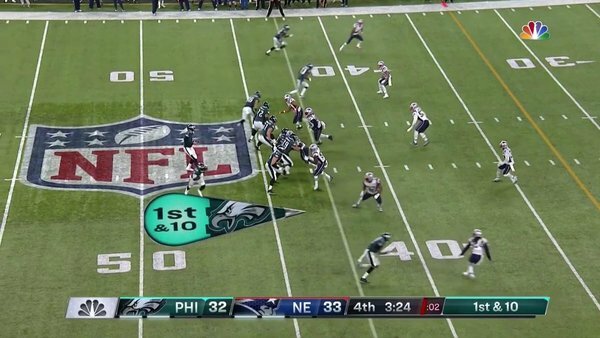 Foles looks for Alshon in the end zone. Incomplete. 3rd down coming up. 2:25 left in the game. This is not like the Jesse James one. He was a runner. This should be a TD, but it might be overturned. Belichick coaches the Patriots to never dive for the end zone. I knew it was a TD because my cup started flashing green. Ertz TD stands. Eagles re-take lead with 2:21 to play. 2:21 left in the @SuperBowl . TB12 to Gronk for a gain of 8.